The company said in a statement that Jones had repeatedly violated its terms of service regarding abusive behavior. 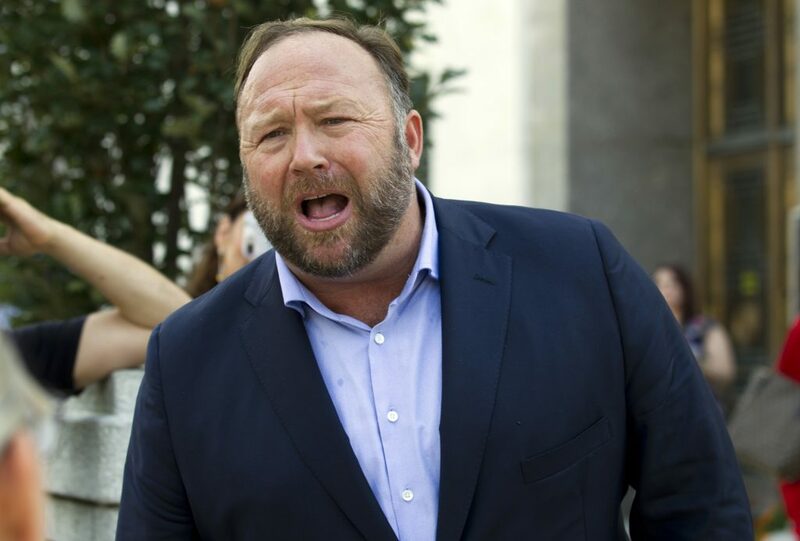 Twitter said Thursday it had “permanently suspended” conspiracy theorist Alex Jones and his website, Infowars, for sharing a series of tweets and videos, including verbal attacks on a reporter that Jones live-streamed outside of a congressional hearing the day before. The company said in a statement that it implemented the ban because it was not Jones’s first violation. Twitter previously had suspended Jones for a week after he broke site rules against violent threats. The ban occurred a day after Twitter CEO Jack Dorsey testified to lawmakers about his company’s practices for moderating content online. Before the hearing began, Jones and his followers surrounded Oliver Darcy, a reporter at CNN who has covered InfoWars and Twitter. He broadcast his attacks on Darcy using Periscope, the live-streaming site owned by Twitter. Asked about the video, Twitter said it was one of a series of incidents brought to its attention in the last 24 hours that violated its rules.